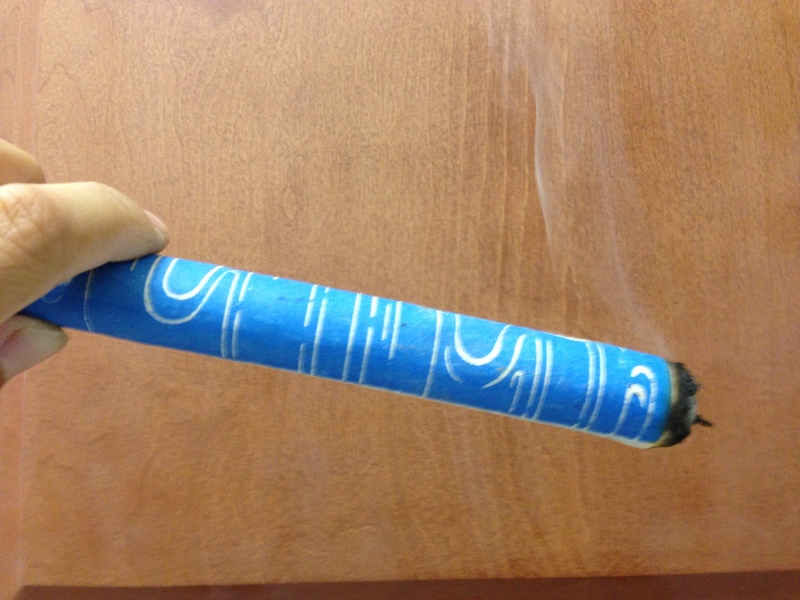 Last week I treated a 34-week pregnant patient with moxibustion (moxa) for her breech baby. After the treatment I gave patient some moxa sticks to take home and instructed her how to apply to the acupoint. A few days later, I received an email from the patient and got to know her baby has sure turned. What an exiting news! I used Moxa on Friday night after our appointment and twice on Saturday. By Saturday night I noticed that she had changed position but wasn’t totally sure if she was head down. It became clear thought when I could feel her feet against my ribs in the coming days…😊 Yesterday I had an other checkup and my midwife confirmed that she is head down. The best time to turn the baby is between 29 – 32 weeks. But I told the patient to give it a try, because her baby had turned head up in week of 33. The acupuncture point UB 67 is the primary point selected for use because it is the most dynamic point to activate the uterus. Its forte is in turning malpositioned babies. It is located on the outer, lower edge of both little toenails. According to Traditional Chinese Medicine theory, moxa has a tonifying and warming effect which promotes movement and activity. The nature of heat is also rising. This warming and raising effect is utilised to encourage the baby to become more active and lift its bottom up in order to gain adequate momentum to summersault into the head down position. A 3 year study published in AJCM (2001) based in a facility where 1437 births were reported examined how effective moxibustion and acupuncture were in turning breech presentation. Only women who were 28 weeks pregnant or later diagnosed with breech presentation were entered into the study. The control group consisted of 224 women. This group was given exercise and external cephalic manipulation. They had a spontaneous correction rate of 73%. The experimental group consisted of 133 women. They received 30 minutes of moxibustion to UB67 daily and acupuncture, but no exercise or external cephalic manipulation. They had a correction rate of 92%. The study concluded that acupuncture and moxibustion is a safe and effective modality to correct breech presentation in a clinical setting. Categories: Acupuncture, Alternatice Medicine, Chinese Medicine, Moxibustion | Tags: Breech Baby, Moxa | Permalink. More than 45 million Americans (one in six) suffer from chronic headaches, and 20 million of them are women. Scientific research shows that acupuncture can be more effective than medication in reducing the severity and frequency of chronic headaches. The pain that headache and migraine sufferers endure can impact every aspect of their lives. Acupuncture is a widely accepted form of treatment for headaches, and can offer powerful relief without the side effects that prescription and over-the-counter drugs can cause. Headaches and migraines, as well as their underlying causes, have been treated successfully with acupuncture and Oriental medicine for thousands of years. They can be used alone in the management and treatment of headaches, or as part of a comprehensive treatment program. 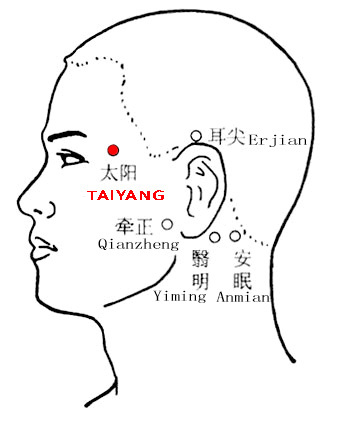 Acupuncture and Oriental medicine do not recognize migraines and chronic headaches as one particular syndrome. Instead, these approaches aim to treat the specific symptoms that are unique to each individual using a variety of of techniques including acupuncture, tui-na massage, and energetic exercises to restore balance in the body. Acupuncture stimulates specific points located on or near the surface of the skin to alter various biochemical and physiological conditions that cause aches and pains or illness. The length, number and frequency of treatments will vary. Some headaches, migraines and related symptoms are relieved after the first treatment, while more severe or chronic ailments often require multiple treatments. 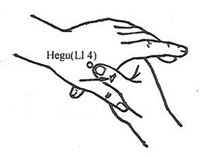 The Headache Point – Large Intestine 4 is such a powerful acupuncture point for headaches that it is often referred to as “the headache point.” It is located on the padded area of your hand between the thumb and index finger, between the first and second metacarpal bones. 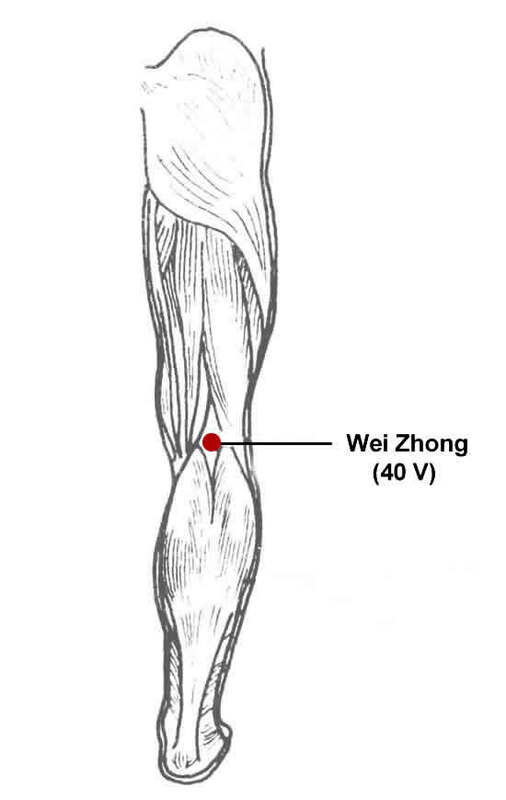 Massage this point with your thumb on both hands for approximately 30 seconds. Peppermint Oil – It has a calming and soothing effect on the body, and is often used to treat headaches. Rub peppermint essential oil across your forehead and temples to relieve a tension headache or inhale a peppermint steam treatment to treat a sinus headache. Adding 10-15 drops of peppermint oil to a warm bath is another great way to relax, reduce muscle tension and relieve a headache. Ginger – Numerous clinical studies have shown that ginger can be used to relieve headaches. Researchers believe it does so by relaxing the blood vessels in the head and diminishing swelling in the brain. Ginger also activates natural opiates in the brain that relieve pain, and reduce prostaglandins, which are responsible for causing inflammation. 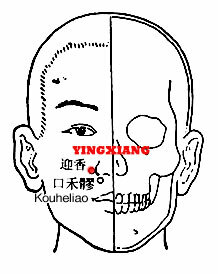 Categories: Acupuncture, Alternatice Medicine, Chinese Medicine, Preventive Medicine | Tags: headaches, Migraines | Permalink. A traumatizing event, such as a human-caused disaster or the experience of combat in a war, could cause an individual to develop what is defined as post-traumatic stress disorder (PTSD). According to the National Institute for Mental Health, an individual with PTSD may experience debilitating flashbacks or nightmares, and feel as if they are in constant danger. Other symptoms of PTSD include depression, anxiety, insomnia, irritability and more. Traditional treatment of PTSD includes anti-anxiety medication and forms of group therapy, but alternative methods, such as acupuncture and massage and yoga therapy, have been studied as potential treatment options for PTSD patients. In a clinical trial conducted by a group of researchers, 77 participants with PTSD were assigned intervention in the form of acupuncture or group cognitive-behavioral therapy. Another group was put on a waitlist for treatment as part of the control group. After the 12 week period, the researchers found that both acupuncture and group cognitive-behavioral therapies were similarly superior to no intervention, according to the National Center for Complementary and Alternative Medicine. More research is needed, but the results of the pilot study suggest acupuncture may have a future as treatment for PTSD. General massage therapy, acupuncture and yoga therapy are becoming more popular as a form of treatment for individuals with PTSD, according to an article in Massage Today. In 2008, a clinical psychologist began using specialized therapies on soldiers diagnosed with PTSD at the Fort Bliss Restoration and Resilience Center. Many Fort Bliss patients recovered enough to return to service. Forms of yoga, massage therapy and other nontraditional bodywork methods like Qigong, a Chinese system that uses physical postures, breathing techniques and intense focus, were incorporated into traditional treatment with much success. The Center was able to scale back the amount of medication given to its patients due to the success of the therapies. The therapies allowed soldiers to fight their symptoms and socialize with other patients. Daily routine can be difficult for those with PTSD. Fortunately, researchers have studied alternative methods, such as acupuncture and massage and yoga therapy, as treatment options. Both have displayed promising results, and should be studied more in the future as methods to treat PTSD and other disorders. Complementary and alternative methods like the ones discussed have lower chances of medical malpractice and don’t utilize prescribed medication as often as traditional healthcare. Categories: Acupuncture, Alternatice Medicine, Health, Life | Tags: Massage, PTSD, Qigong, Yoga | Permalink.